In this article we’ll share with you full list of LG Optimus 3D Max P720 firmware. Also, you can find here firmware for other models, such as P725, P720H, etc. LG Optimus 3D Max P720 was released in 2012, when 3D technology has just appeared, and all experts have said that it will change digital world. However, as you can see, 3D technology is used only in cinemas, while computers, laptops, smartphones still use 2D screens. 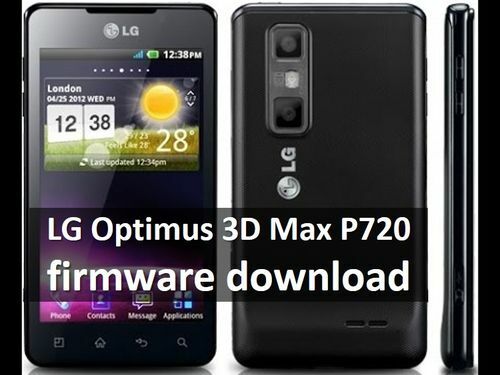 LG wanted to be in the trend, so it released LG Optimus 3D Max P720. This smartphone can convert 2D video to 3D. Also it has good screen with wide viewing angles and high performance, as for 2012. Many people believed in the bright future of 3D, so they bought this smartphone. If you are one of them, then our full list of LG Optimus 3D Max P720 firmware will be useful to you. Here you will find latest updates of operating system for various smartphone models. Please note, you should install firmware for your model LG Optimus 3D Max P720, for example, P720. Do not try to install the firmware for another model, it can damage your smartphone. Thank you! Hope our article was useful for you, and you installed LG Optimus 3D Max P720 firmware. If you have any questions, write in comments below.